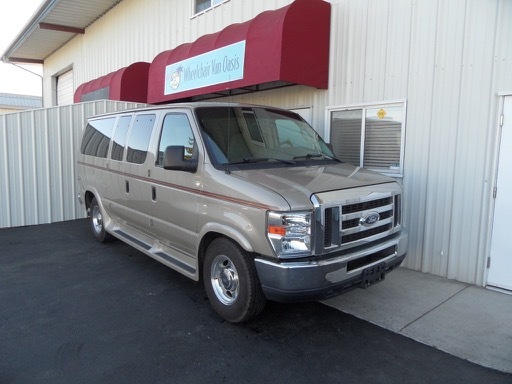 Began as a one-ton (e350) standard length (not long or short) with moderate trim level of XLT. As a result, it began with common power, convenience and cosmetic features such as: power windows, locks and mirrors; tilt and cruise; chrome bumpers and fancy headlights; misc interior and exterior trim features; much more. This has an awesome, powerful "Triton" drivetrain if you want super power, torque and reliability. 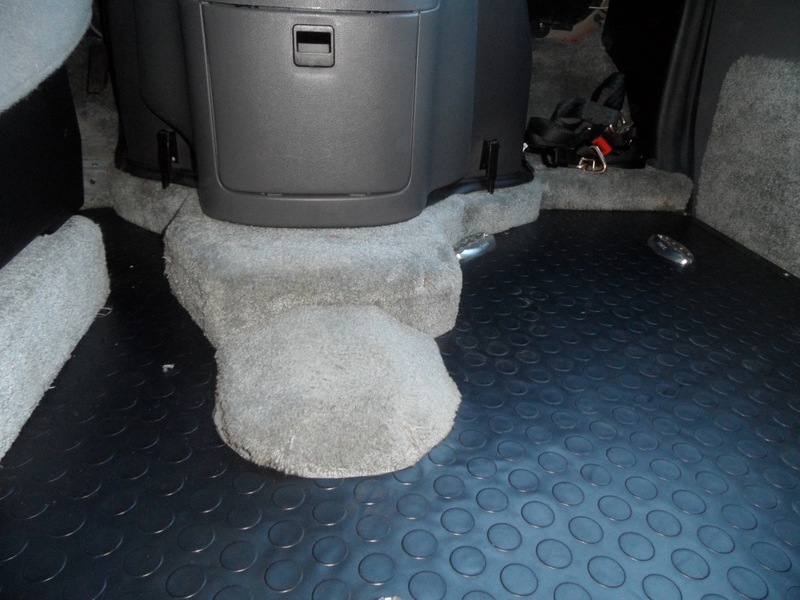 * Nicely lowered floor: extends all the way from in front of the rear seat, all the way to below the dash area. 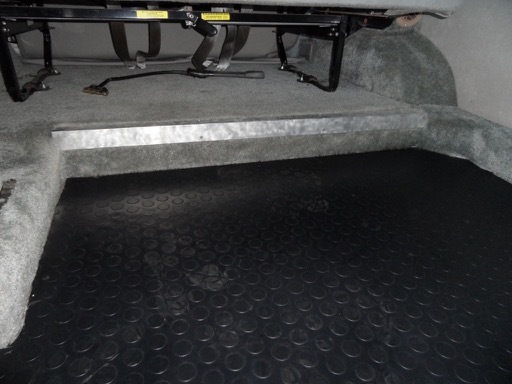 This lowered floor creates a super amount of entry clearance and interior headroom, without the need for a tall roof. 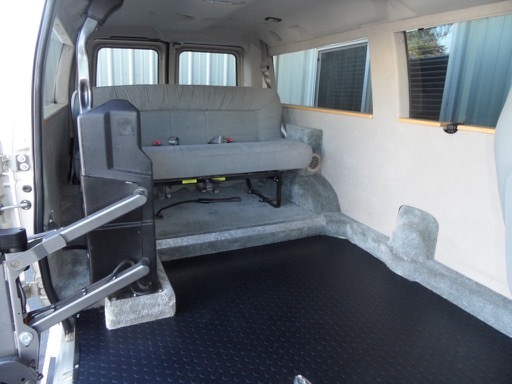 This floor is unusual in a very positive way, which is that the front seating area is lowered more than in many other similar vans that I have seen and owned. 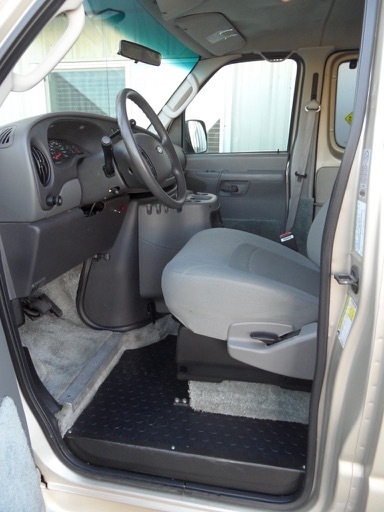 This creates extra floor to ceiling space and extra distance from the floor to under steering wheel, which some folks need. In general, you get the best of both worlds with this van. 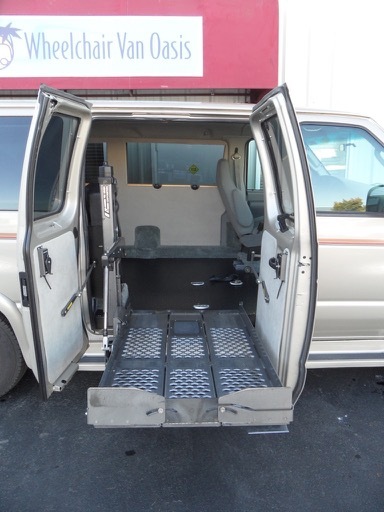 Because, you have only a few inches less interior headroom than a van with an added tall roof and the same entry clearance as a tall roof van that has what are called, tall doors. However, this van usually can go places that the tall roof vans cant, such as: drive-thru windows; parking garages; carports; carwashes; etc. For some folks, these are MAJOR advantages (or necessities) of not having a tall roof. * Front drivers' seat is removable: therefore, if a person wants or needs to drive from a wheelchair, it can be removed via quick release and wheels on the bottom for easy removal. 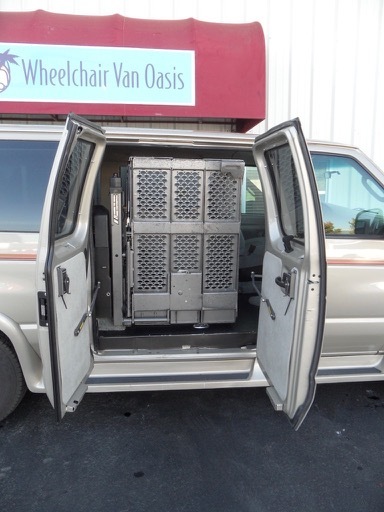 * Power swinging side doors: these doors open with power arms, which are an important part of the complete package that allows some folks in wheelchairs the ability to load/unload and drive themselves fully independent of any assistance form another person. * Wonderful lift: This is of the style that does not impede the front passenger area whatsoever and because of the tri-fold platform, this platform folds mostly out of the way to allow able-bodied folks to get in and out of the van when the lift is stowed. * Wireless remote operation: there is no need to use switches (although they are provided as well) as you can operate the side doors and lift with a wireless remote control. 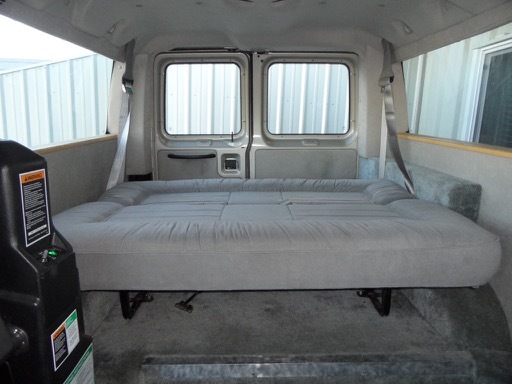 * 4 anchor straps and various anchor points on the floor. 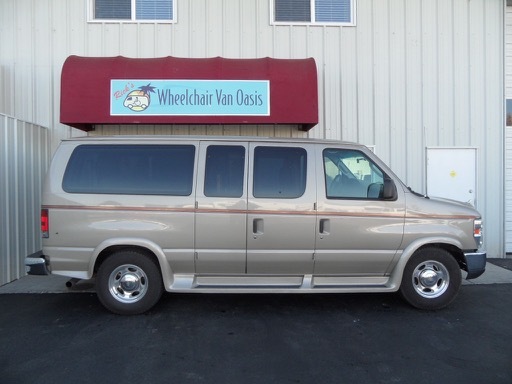 This is an amazing van. One of the best I've ever had the pleasure of offering. 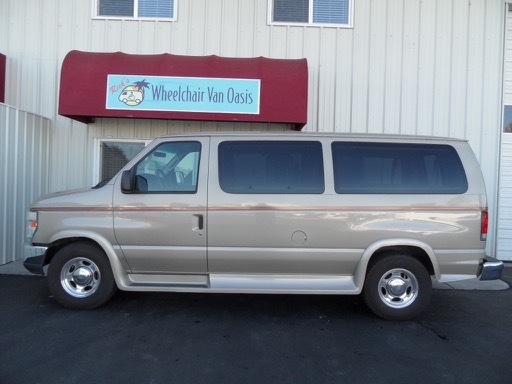 As you've read above, there is a long list of reasons why this is an absolutely special and fantastic van. It looks, feels and functions the same as one through 2015, when Ford ceased making traditional style full size vans. 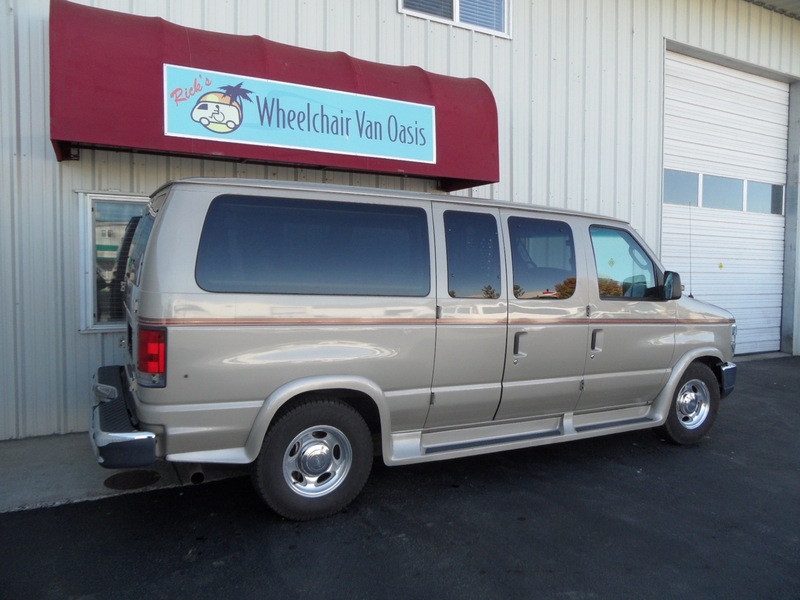 This specially equipped Ford is the dream wheelchair van some folks have been trying to find. 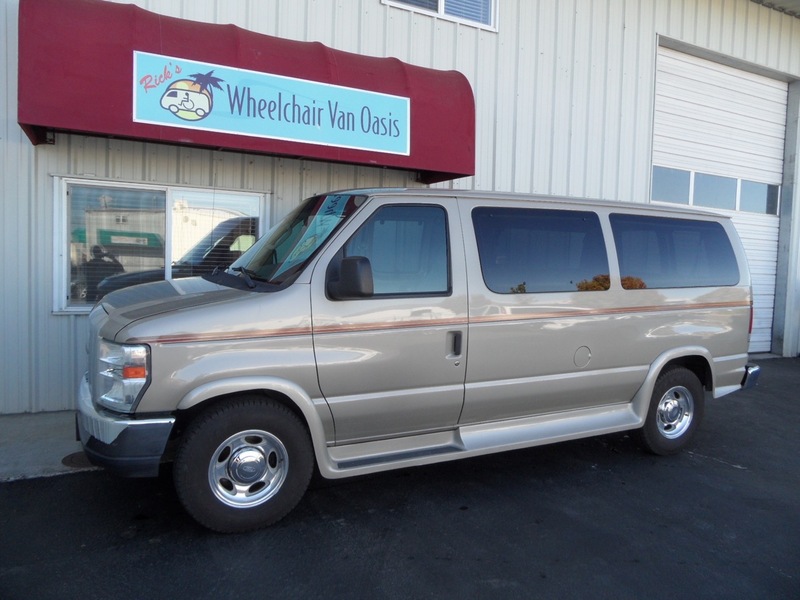 However, special vans such as this one are simply very scarce. Note on these images: these are preliminary images taken a few weeks ago. 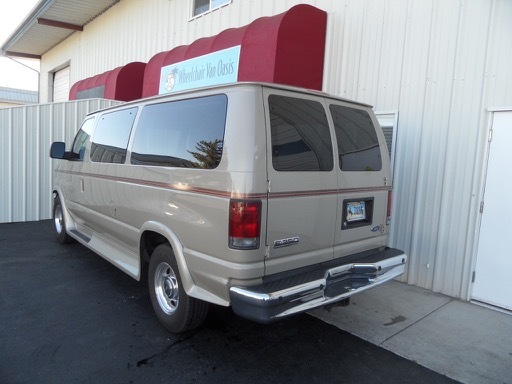 Much has happened during the rejuvenation process to make this van look even better. Final images coming soon! Nicely lowered floor, in middle and front areas. 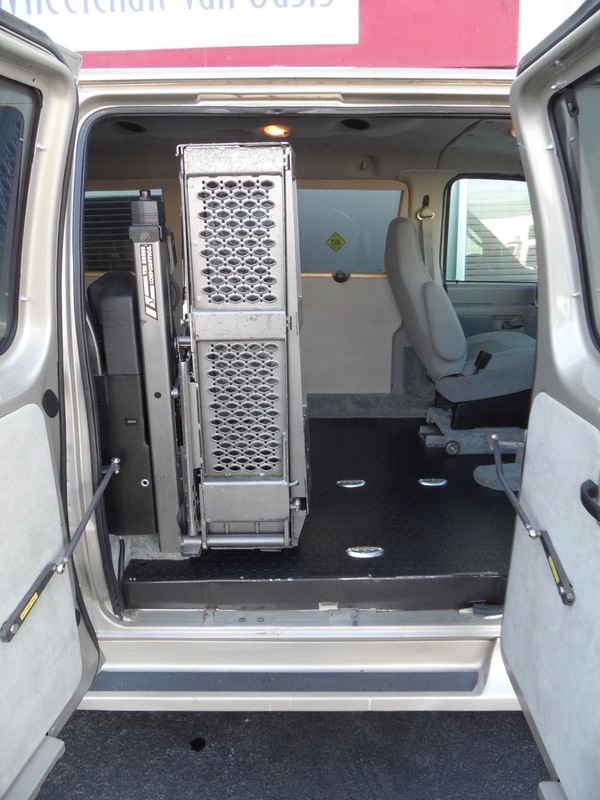 This creates enough entry clearance and interior headroom to suit the needs of most folks. 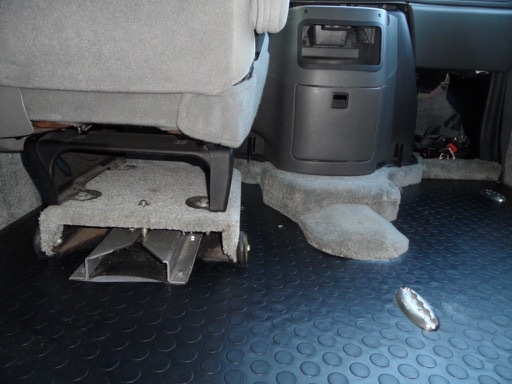 Notice that the floor is lowered several inches in this forward area (directly below the console is the original floor height), which creates enough headroom for most folks in most wheelchairs. 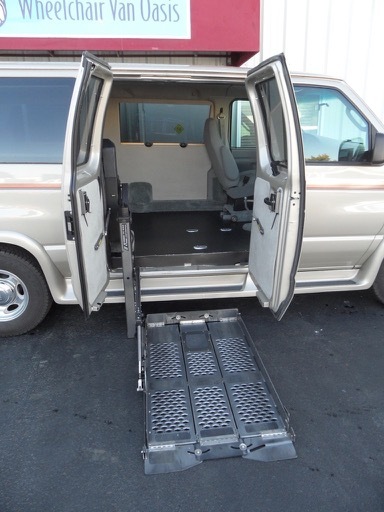 This drivers seat can easily be removed so that a wheelchair can park here.